We operate multiple enterprise-grade data centers distinguished by ISO 27001:2013 and ISO 9001:2008 certifications as well as SSAE-16 SOC-1 Type II audits and ITIL certified management, thus following the world’s highest service and quality standards. We have changed the economics of the data center by unifying compute, storage, networking, virtualization, and management into a single platform. 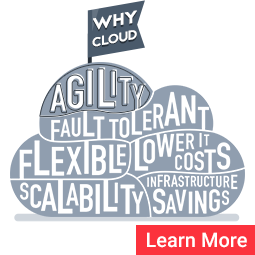 The result is operational simplicity and business agility – essential for cloud computing and deploying Infrastructure-as-a-Service. Our network of premium data centers underpin our unique cloud and colocation services. We can provide cost-effective power and cooling coupled with state-of-the-art resiliency and processes. Featuring a 100 percent uptime Service Level Agreement for our network and protected power, our coast-to-coast data centers offer peace of mind to our enterprise client base.